I am against this proposal, you want to increase fees in order to artificially pump the price of BTS. This is a terrible idea. You will deter people from making the markets by increasing fees and no doubt will get margin called keeping the price of BTS low. BAD BAD IDEA. If this does go ahead, then I suggest keeping the call price at extreme lows to reduce the risk by as much as possible. By that I mean for bitUSD, a call price of $0.01 maximum. The fees shouldn't be used to artificially increase the price of bts, I agree here. What happens to the fees now? The fees should directly be used to provide liquidity to the exchanges. A lot of companies adopted the BTS network, because there were no fees in trading to bitAssets. I didn't hear any numbers on the duration of the new market fee. The comittee is in control of roughly 3.6 million BTS which are being held in either comittee-trade or committee-account. Is the current balance simply stacking up of transaction fees, or how did this accumulate? The committee-account is holding short positions. Why? Where can I see the accumulation of incoming market fees? 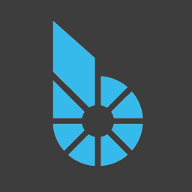 How and when will you move forward with bitAsset creation? Backed by worker proposal? These are from bitAssets being auto-revived after a black swan. See BSIP-18. Market fees are not listed separately. 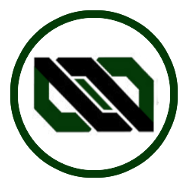 The asset object holds them in "accumulated_fees", together with the tx fees that were paid in the asset in exchange for funds from the fee pool. You can look at the trade volume of that asset, and calculate the resulting fees. The BTS in committee-trade: originally were fees accumulated in some bitAssets, mainly bitUSD, mostly accumulated in BTS 0.9 due to the "you get what you ask for" mechanism. We got them out and sold them for BTS in 2016 to bring more liquidity to the market. The BTS are being used to fund fee pools of assets controlled by committee-account, then accumulate fees again, thus circulating. The BTS in committee-account: after BSIP18, the account started to hold short positions. The biggest position was SILVER which had about 2M BTS of collateral, at a time, SILVER got globally settled again (black swan), so the overcollateralized BTS was returned to committee-account. hello, please help, if i want to buy bitCNY throug alipay, is it possible? or any other ways ? I don't know how I feel about the committee playing central banker like this. IMO change this radical should be introduced via a hardfork that would add something like a a central banking committee, separate from existing infrastructure. The short term and quickest solution is already presented here, since it requires no blockchain update (change fees, collected fees used to create bitassets). I would also agree to incentivize the creation of BitAssets, but I think in long-term it should be mostly user driven. Thus I could think of an additional feature when creating a margin position that allows dividends of some sort. If position becomes locked, then the positions collateral in BTS receives Y% from the reserve pool (or some commitee account, eventually filled by fees?) every month the position is locked, where the Y% is only with reference to amount of BTS necessary to achieve ICR. Value Y% depends on the choice X of the user. For example: ICR is 3. User opens position to create 1000 bitUSD backed by 50000 BTS (assume 10 BTS/bitUSD price). The collateral ratio of this position is then 5, which is higher than ICR, and user chooses to lock for one month. Bitshares says now he will get 0.1% paid every month for all BTS required to achieve ICR. To achieve ICR, he would need only 30000 BTS, so the incentive is 30000 * 0.1% = 30.
the position unlocks itself automatically (but is not closed) and the user has now 50060 BTS as collateral. This approach would certainly need development on back- and frontend, but could be very interesting for hodlers. BSIP 19 (https://github.com/bitshares/bsips/blob/master/bsip-0019.md) is highly related, however I disagree with only rewarding shorters - both shorters and asset holders aught to have a portion of market fees redistributed to them. How would the reward be balanced between the shorter and holder though? Holders aught to benefit from the 'coinage' of their held MPA, whilst the shorter aught to benefit from a higher collateral ratio. Eligibility for fee redistribution should only trigger once the borrowed asset has been included in a fill order (perhaps only the backing asset to keep it simple?) so that we have cryptographic proof that it is publicly liquid instead of simply borrowed and transferred to a secondary account owned by the shorter. It would still be possible for someone to put up a huge sell/buy wall and sell/buy to themselves but by doing so they offer the public (bots included) the opportunity to eat into that public market liquidity, it could also boost the trading volume considerably. I want to see the BTSX marketing of "x% on anything" come back - it was one of the major selling points for me that the broken FIAT banking sector offer 1% but I could get 5%+ on the blockchain - very powerful!